All of us at Ultimate Martial Arts Academy are 100% confident that if you come in and see us, you will immediately see how we are different! Nobody can compare to our experienced and dedicated staff, our extensive curriculum and programs offered or beat the value received from our Martial Arts instruction. A Free private introductory class with one of our instructors with no obligation to you. 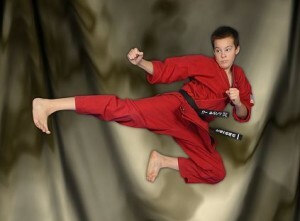 Come meet our incredible staff, see the school and try some Martial Arts! The 30 day special includes a Free new martial arts uniform and students may attend classes 2 times per week- with classes available 6 days per week! To schedule your Free Introductory class or to sign up for our One Month Special simply contact us by phone, email or use the Sign Up (link below )with the best time to contact you.